Schools 4 Sri Lanka is a competition being held throughout 2011 in Utrecht to raise funds to help under priviledged children in Sri Lanka. 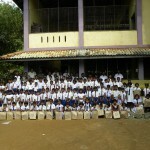 Rotary Club Utrecht International is running a project to raise money for the children of low income families in Sri Lanka to ensure they have the stationery they need for their schooling. 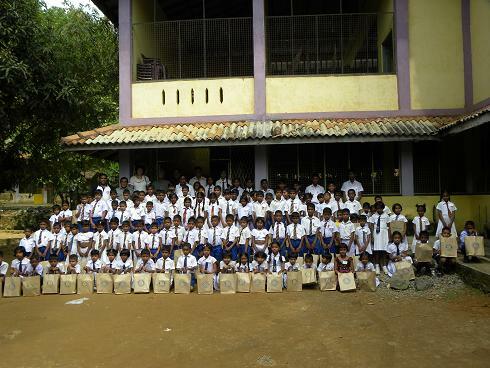 The Rotary Club of Kegalle, Sri Lanka is the organisation who will receive the funds we raise through this competition and ensure that the money is used to benefit these children. The competition is for students of Utrecht Stedelijk Gymnasium where the four 4th year English classes will compete to see whose class can develop the best fundraising proposal to help the students in Sri Lanka. If this years competition is successful, Rotary Club Utrecht International hopes to be able to expand the competition to include more schools and raise more money. Interested in our current projects? Read more about our Rotary Year 2013/14 here.